Mention SEO to most folks and eyes instantly glaze over. Explaining how “HTML markup can improve your SERPs”… Yawn!!! But mention that this can increase profits and bingo – your see why it makes financial sense to invest in SEO work. I’m currently running an SEO campaign for a local electrician that we recently created a brand new website for. Our goal is to achieve page 1 results for local Google searches. Using this work as an SEO Case Study I’m blogging about some of the work I carry out to kick-start these improvements, so here’s my day by day checklist so far. We’re not featuring on page one of the Google Maps list either – but I expect that to change with the Google+ PIN, and regular blogging. Theses poor results are expected because this is a brand new site. Over the next few days and weeks I’ll be tweaking the site further and will ensure regular blogging starts to bump the site upwards. The aim is to increase enquiries to the client, generating work and profit. Listing your business with Bing is straight forward… if you live in the USA! It’s only been a day and we’re already improving! There’s still lots to do and we’ll keep on posting over the following days to show you how our SEO work succeeds. We’re keeping a constant eye on our position and are starting to refine the WordPress to be properly SEO compliant. After a week we’ve seen some real improvement in our ranking. We’ll spend the next few days ensuring we deliver a website that is speedy and SEO efficient, while also concentrating on adding valuable content. At the same time we’ll start to apply our conversion goals to the website – we’d like to lead all visitors to contact the client. 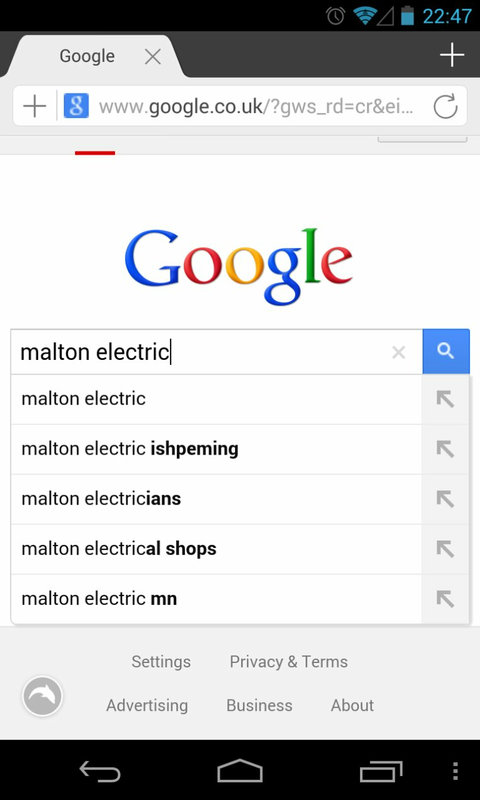 We’re now starting to toy with Google page 1 results and that will soon mean some actual clients looking for electrical services will start to find the website. As always, we’ll continue to add content and try to guide the website visitors to the contact pages.